On August 5th, 2010, 33 Chilean miners were trapped 2,300 feet underground when their mine collapsed. The falling rock that blocked their escape was as big as the Empire State building. Chances of survival seemed highly improbable. Sophisticated equipment, skilled operators and a lot of luck were critical for even a dim chance of escape. Thankfully leaders emerged above and below ground. One trapped miner took charge, implementing a plan for rationing food and water. Banding together, all the miners agreed when they eventually escaped that all 33 would share any profits from their story. Families set up vigil at the site, naming their waiting area “Campomento Esperanza”, which translated is “Camp Hope”. Finally, 69 days later, all 33 were rescued; alive. Hope – which generated skill, perseverance, and funding – made the difference. 1. Believe that the future will be better than the present. See possibilities ahead and do not allow the obstacles to blind you to opportunities. 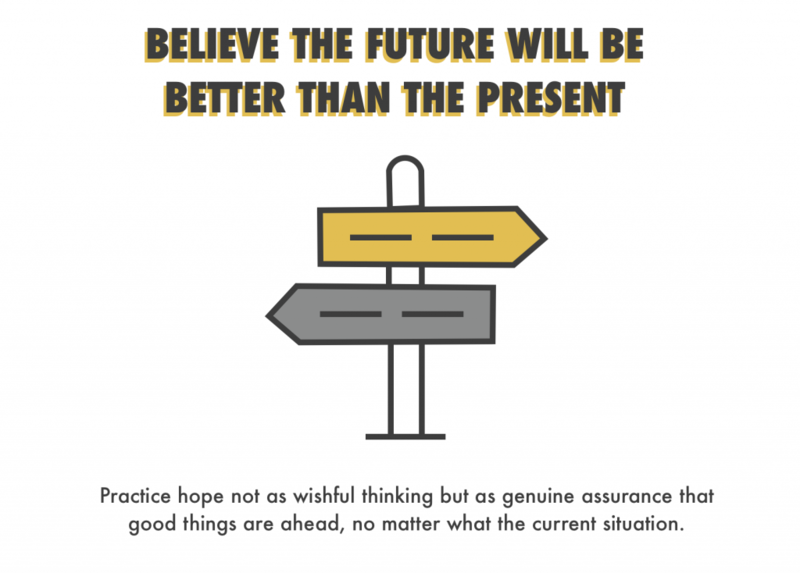 Practice hope, not as wishful thinking, but as genuine assurance that good things are ahead, no matter what the current situation. 2. Harness Your “Will Power” Believe you always have a choice and the ability to take meaningful action. 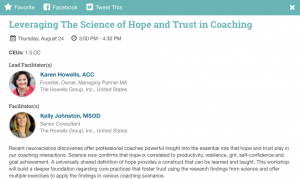 High hope leaders choose to act, which influences outcomes. 3. Exercise Your “Way Power” Believe there are many paths to your goal, and all obstacles can be overcome. 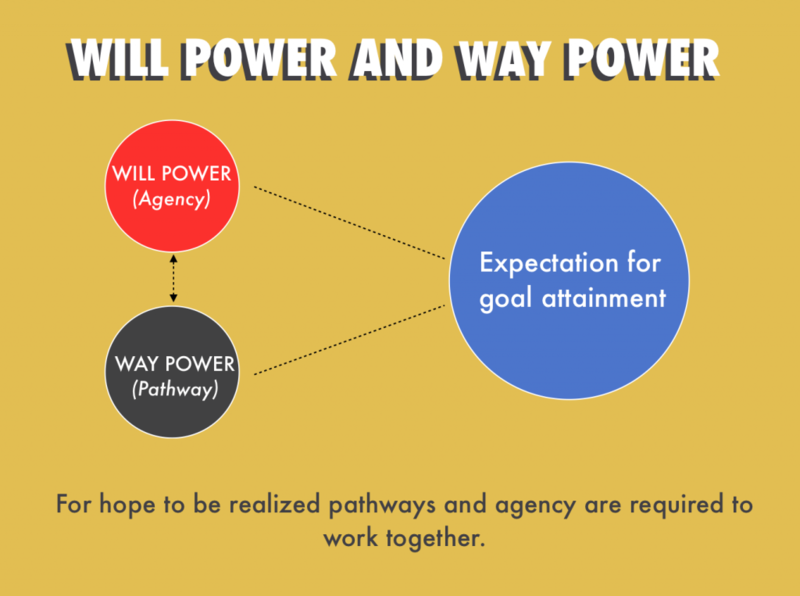 Because “will power” alone is not enough; to be a high hope leader you must create a way forward. Expect obstacles and believe other paths can be forged when obstacles occur. 4. 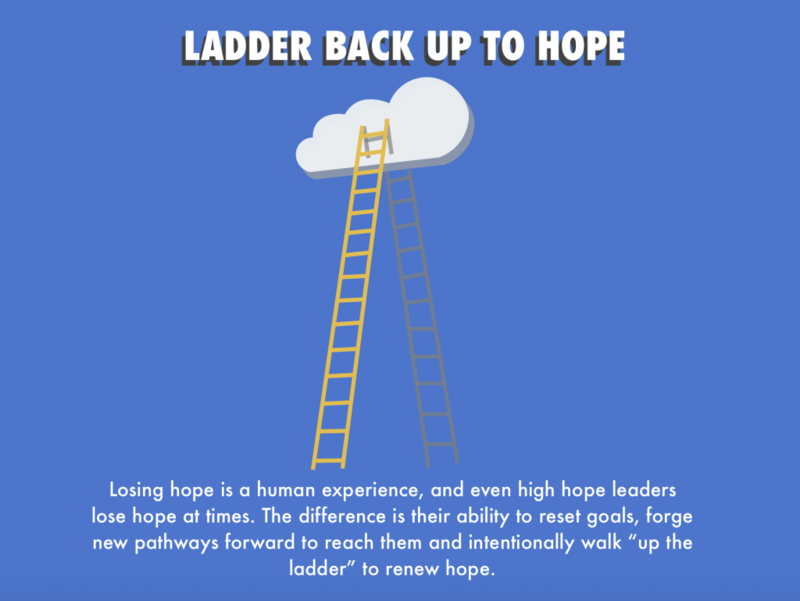 “Ladder Back Up” to Hope When discouraged, continually practice forging new neural pathways and memories of successfully reaching a goal, this helps fuel more hope in the future. 5. Inspire hope in others and in organizations. 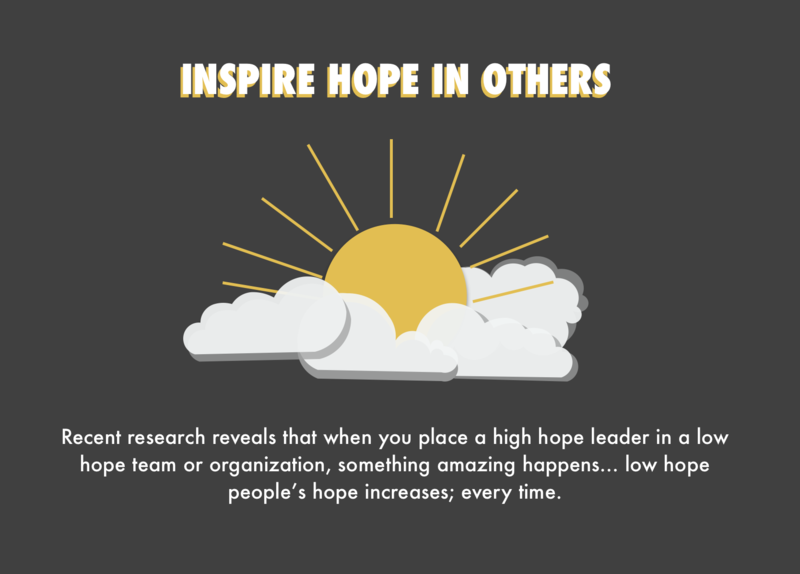 Recent research reveals that when your place a high hope leader in a low hope team or organization, something amazing happens… low hope people’s hope increases; every time. Acting as a catalyst, high hope leaders create a new narrative that inspires a collective story igniting new vision and energy. 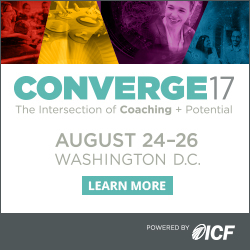 Karen Howells and Kelly Johnston of The Howells Group will be presenting on Leveraging The Science of Hope this August at the International Coaching Federation Converge Conference in Washington DC. « Is Your “Winning Strategy” Still Winning?